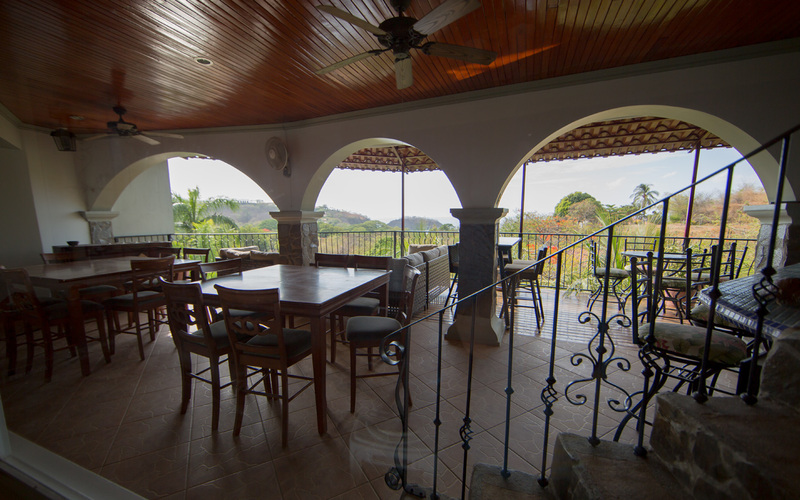 Located in the Guanacaste province of Costa Rica, Villa Estrella del Mar is located just off the coast of Playa Ocotal. 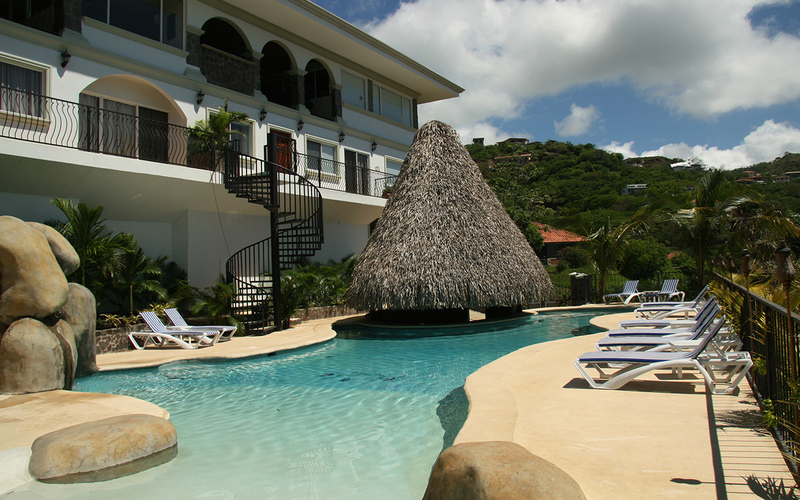 Villa Estrella Del mar has three stories and 8 bedrooms and sure to accommodate you and your family. 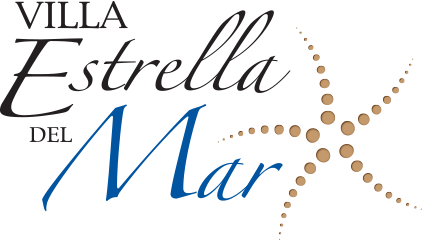 Like all Barefoot Vacation Villas, Estrella del Mar is all inclusive and fully staffed. All meals are served on the third floor balcony right next to the 10,000 gallon splash pool with swim up bar. 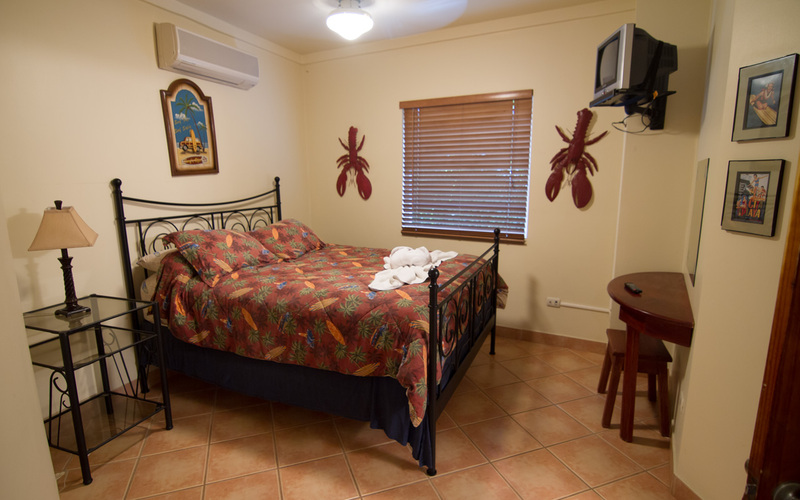 All 8 bedrooms are air-conditioned and have their own full bathrooms. 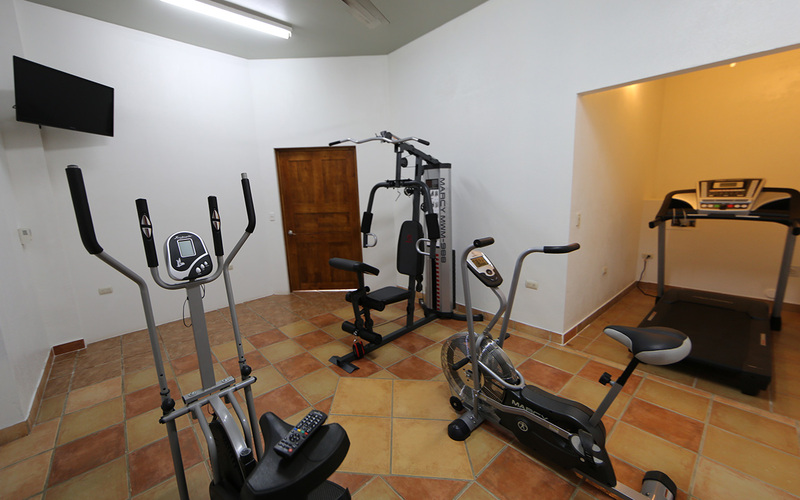 The fitness room is located on the bottom floor, and complete with a treadmill, fitness bike, and bowflex total gym. 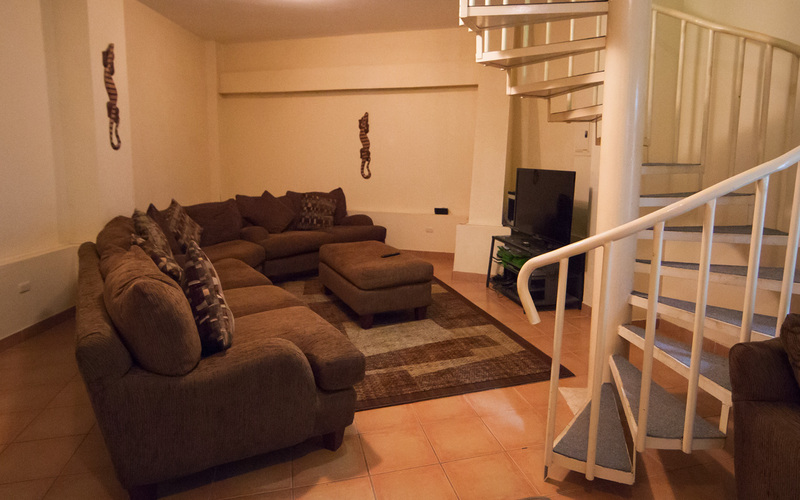 The media room is also located on the bottom floor, and is furnished with a large 8 person couch and big screen tv with dvd player. What does “All Inclusive” really mean? 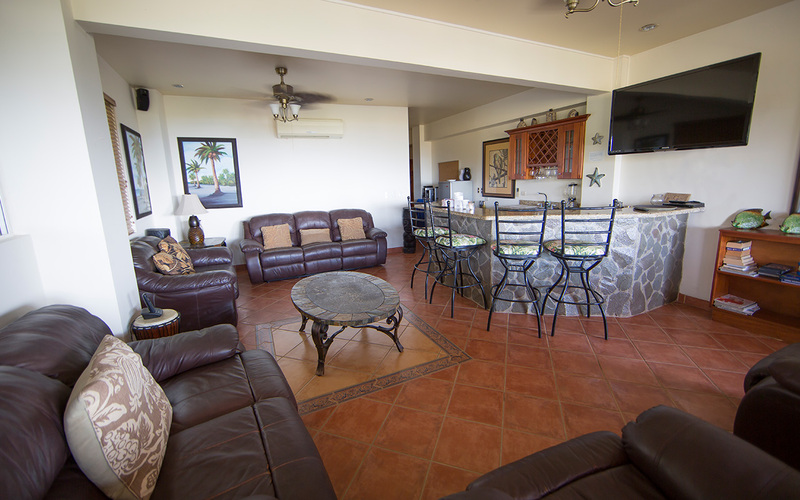 All inclusive rates include your air-conditioned room, three delicious meals and afternoon appetizers prepared by your own full-time chef, a fully-stocked open bar with a bartender ready prepare tropical cocktails throughout the day, and daily maid and laundry services. 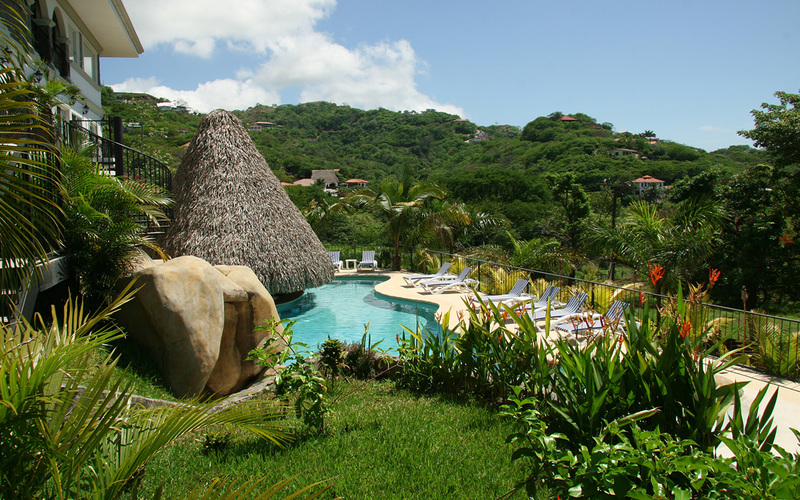 Additional, you can upgrade your vacation package to include an extensive array of professional spa services such as facials, manicures, pedicures, massages, as well as live entertainment such as Casino Night, DJ Pool Party, or a live local Costa Rican band. What airport is closest to the Villa? The Liberia International Airport (LIR) is 20 minutes from all of the Villa. All major airlines are currently serving the Liberia Airport as well as several Charters. San Jose Airport (SJO) is the other major airport and it is a 4 to 5 hour drive to the Villa. There are commuter airlines (Sansa and Nature Air) that connect San Jose to Liberia. Is it appropriate to tip the staff? Gratuities are not included so the amount of tips left for the staff is entirely up to you. The tips are proportionately divided between all the staff - those you see daily and those behind the scenes assuring your stay is flawless. There is a lock box for your convenience at the Villa and generally guests place the tips in the box on the final evening of their stay or the morning of their departure. $15.00 per day per person is the average tip. Will I need adaptors for the electrical outlets? Do you have a baby bed and high chair? With prior notification, a baby bed and high chair will be available for little ones. Can we entertain friends/family who are not a registered guest? 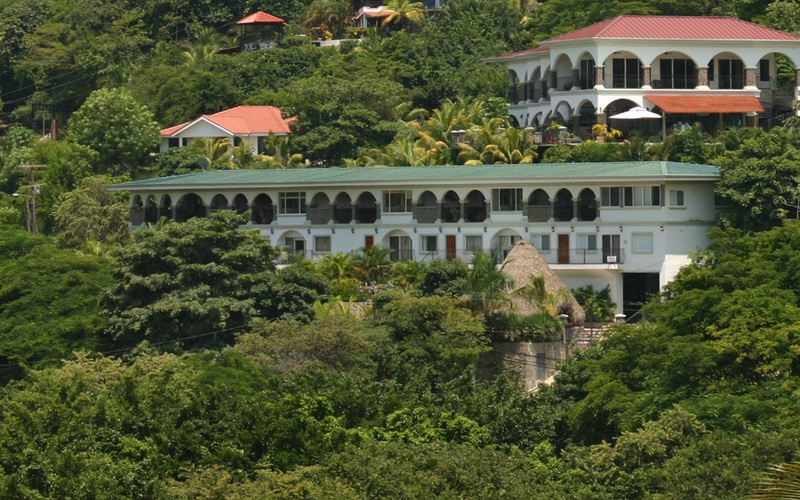 No, only registered guests are admitted to the Villa premises for full all-inclusive privileges. Day passes may be issued with advance planning and proper identification. Is the Villa on the beach? None of the homes in the area are constructed contiguous to the beach; however, it is a very short 2 to 4 minute walk on a well-defined paved road. What are the all-inclusive benefits? 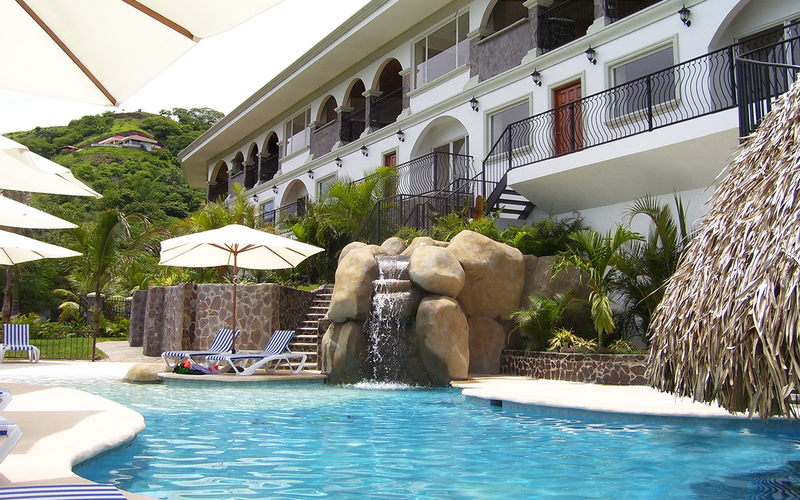 The “all inclusive per person per night rate” includes delicious meals, afternoon appetizers, soft drinks, juices, bottled water and a “bar”, including various national liquors, wines, tropical frozen drinks and icy cold Costa Rican beers. Laundry service is included as well. The best benefit of all just might be your exclusive 5 Star Staff who will ensure your stay to be exemplary in every way! 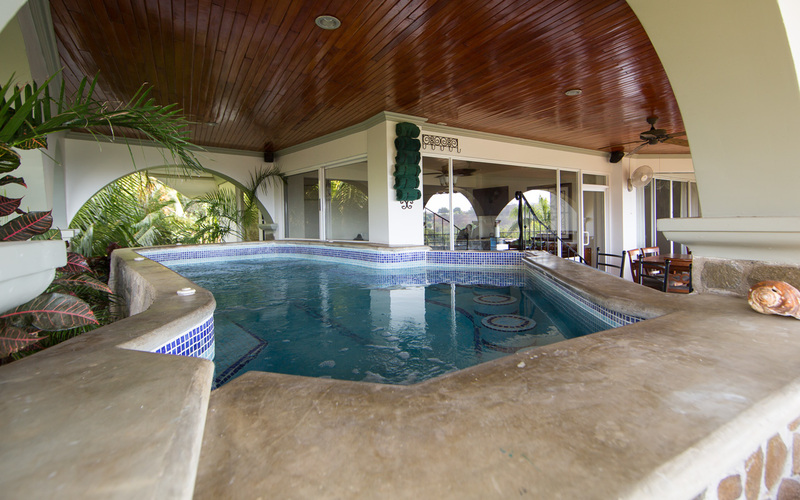 Does the Villa provide transportation for golf outings, surfing trips or other activities? No - however, Guillermo will be happy to assist you in arranging a taxi, van or bus (depending on the size of your group) for your golf outings, surfing trips or other activities. Alcoholic and nonalcoholic beverages with fully-stocked bar. An initial deposit of 25% will hold your reservation. A second payment of 25% will be due 60 days later, and the final 50% payment is due 60 days prior to arrival. An initial deposit of 50% is required to hold your reservation. 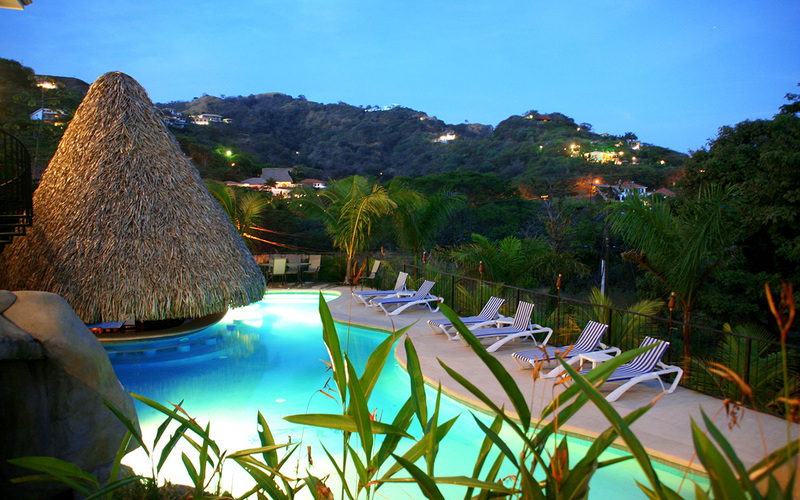 The remaining 50% is due 60 days before arrival at the Villa. Eligible for a voucher equal to 100% of the deposit that may be used within 18 months as credit toward a future booking with the Villas. Eligible for a voucher equal to 100% of the deposit that may be used within 18 months as credit toward future booking with the Villas OR 75% of the deposit refunded by check or wire transfer. We accept personal checks, wire transfers or credit card via Paypal. 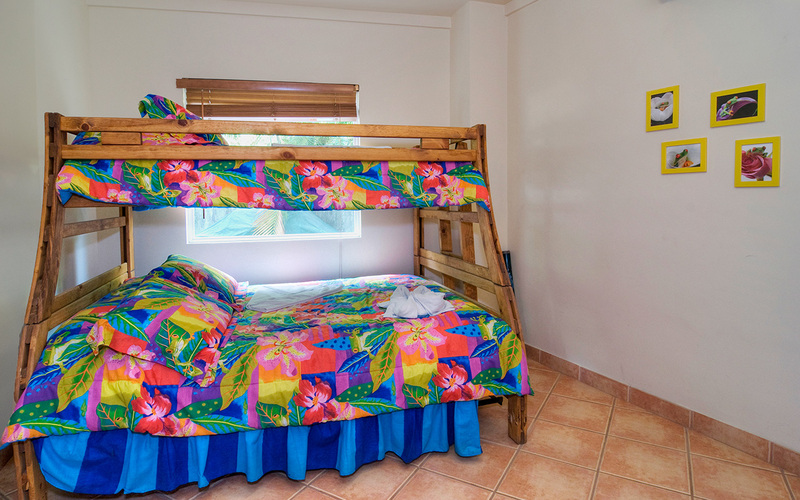 *Vacation prices are based on per person per night, usually with a minimum 5 nights.